Last week Paul Cairney posted at the Guardian on evidence-based policy making. The post is directed at academics seeking to influence policy. 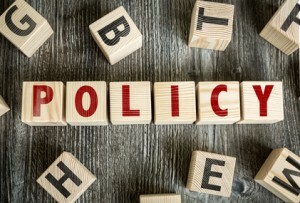 It highlights the need to recognize the complexity and messiness of the policy process as it actually exists, rather than cleaving to fanciful textbook notions of rational policy cycles. We focus too much on the supply of evidence – how can academics make evidence more digestible to policymakers – and not enough on the demand for evidence – understanding the often fleeting nature of attention to particular policy issues and the boundedness of the rationality applied to decision making. In short, Paul’s point is that we need to embrace the politics of evidence-based policy making – coincidentally the title of the book that he will shortly be publishing with Palgrave. Paul also argues, although not in so many words, that we need to move away from what has been referred to the engineering model of the role of evidence in policy and closer to the enlightenment model. That is, evidence isn’t injected into the policy process at identifiable points as a contribution to solving a particular policy problem. Rather, evidence shapes thinking in a more diffuse way over the long term. I’m fully signed up to these arguments. Yet they feel a little like they are fighting a rearguard action. And it’s not going so well. I am not thinking specifically about the provisions of the Government’s lobbying bill which, if passed in its current form, will render the whole conversation redundant. It will shortly become an offense for academics in receipt of public funding to even attempt to influence policy. The Government is seemingly indiscriminately wielding a very large sledgehammer in order to crack a completely unrelated nut. The scientific community is, quite rightly, mounting various protests and petitions to try to head off disaster. It is undoubtedly the case that excluding expertise from the policy process will profoundly impair the quality of policymaking. Yet this whole debate is being conducted on the assumption that somehow the Government is inadvertently making a terrible mistake. It wants to stop charities from spending public money on lobbying policymakers, and genuinely independent academic research has accidentally got caught in the net. If, on the other hand, you were to interpret the Government’s aim as to insulate the policy process from all ‘unwanted’ outside influence – so that it can operate in policy sub-systems that comprise an echo chamber of ideologically congenial think tanks – then there may be nothing inadvertent about it. Anyway, as I say, I didn’t have the lobbying bill specifically in mind. It was more the case that since Paul’s piece appeared online we’ve witnessed another George Osborne budget. Well. There is so much that could be said about the budget. And none of it good. Focusing on the issue of evidence, we start, of course, from a position of having a chancellor who has placed himself in a fiscal straitjacket which has no justification in any form of cogent economic thought. We have a Chancellor who is also willing to largely ignore arguments about the positive return to infrastructure spending in a context of ultralow interest rates. More specifically, we have the proposal for a sugar tax that apparently won’t be levied in such a way as to have any possibility of meaningful behavioural impact. An impact for which there is, in any case, at present no real evidence. The main example cited in relation to the policy is Mexico, and the sugar tax there is limited evidence that it has had an impact upon consumption levels. We also had a budget in which the academisation of all remaining schools was proposed: a policy that again lacks a weight of robust evidence to support claims that it improves educational outcomes. Finally, we have the proposals to cut funding to disabled people to meet specialist needs. It transpires that the basis for this policy is anecdotal evidence: it appears the Government has taken untested speculation by frontline practitioners as the basis for concluding that disabled people can cope without this assistance. I’m tempted to argue that the Chancellor’s position on this issue might be marginally more credible if he just came out and said “you know what, I just don’t like disabled people, so I’m going to pick on them”. And we haven’t even touched on the various dubious fiscal manoeuvres and assumptions around tax revenues, spending cuts and efficiency savings underpinning the budget. As Chris notes, if it weren’t for a strong incumbency effect the content of the budget would have been roundly ridiculed. Mind you, we can’t rule out the possibility that over the coming days the voices of disquiet and derision will increase. It would be hard to claim that evidence-based policy in Westminster is dead. Clearly there are still instances where Ministers act in response to the evidence. Michael Gove, for example, in his role as Justice Secretary has clearly taken some sensible decisions to unwind policies that demonstrably weren’t working. But it feels like such instances are few and far between. EBP is in retreat. Much current policy is ideologically inspired or driven by the calculation of party political advantage. Even if that flies in the face of the evidence. The question is whether we’ve passed peak EBP – a relatively brief flowering of the commitment to greater rationality in the policy process during the 1990s and 2000s – or whether it has just gone into hibernation for a while. Let’s hope it’s the latter. And that we face a short winter before it blooms again.